Cheers! It’s our 100th post! There’s a lot of food and travel talk around here, n’est-ce pas? Well as many of you know, I recently returned from an epic adventure “down under” and shared my experiences here: Sydney, NSW Australia, Beach Bummin’ it around Sydney, South Island, New Zealand, Living la vida hostel and Auckland, New Zealand. It was an amazing and unforgettable experience, so be sure to check them out! Now, we talk food. 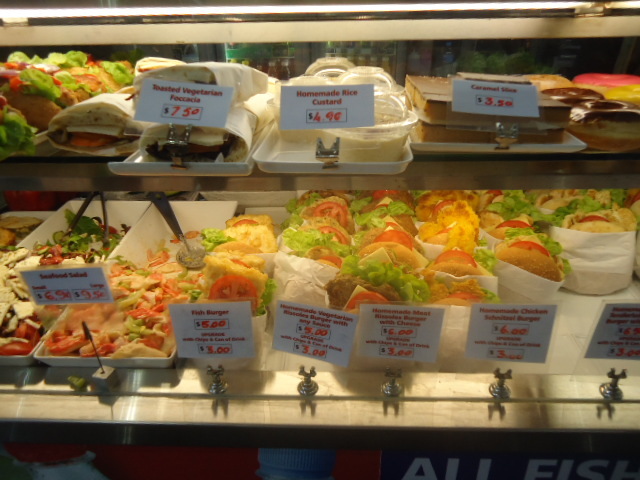 As imagined, we tried eating at a few restaurants, although we did some grocery shopping to save on the expenses and also enjoyed our fair share of yummy PB&J sandwiches on our bus trips. I’d like to start off by saying, although we did look into it, we did not have the opportunity to try kangaroo meat while in Sydney. Because I’ll be reviewing a few places, I’ll do summaries of each restaurant. 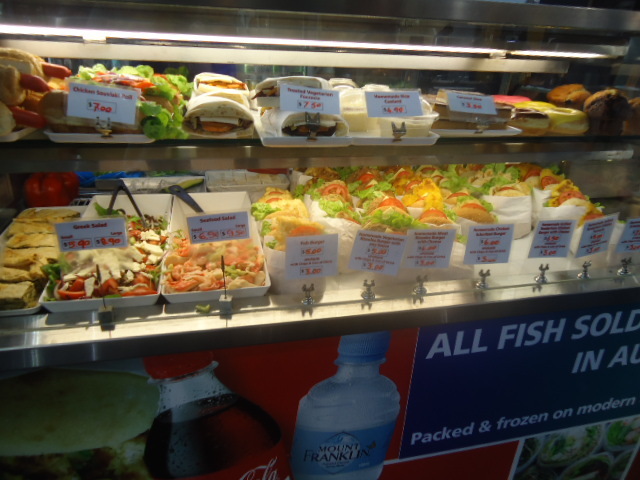 So I arrived in Sydney in the form of one starved Marv and because of BIG’s great location there were restaurant options just steps away. 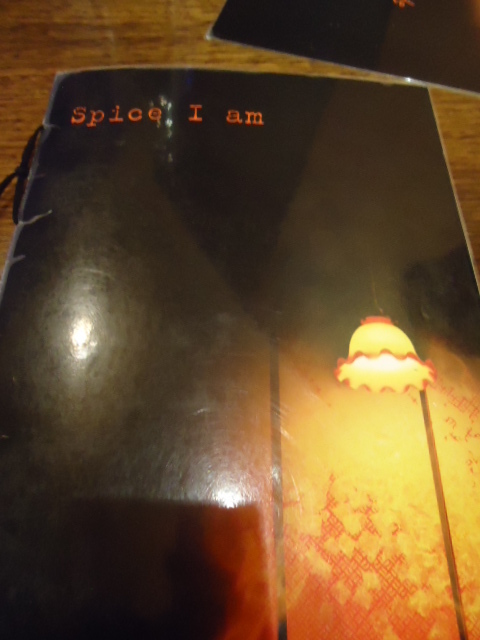 There was no shortage of Thai restaurants, including Spice I Am. Done. Let’s not jibber jabber, let’s eat. Please before I keel over. 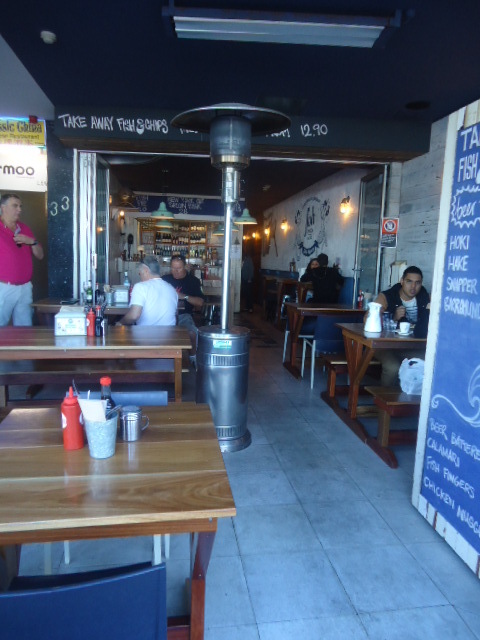 Setting & Service – It was a REALLY small place and it was also VERY packed. 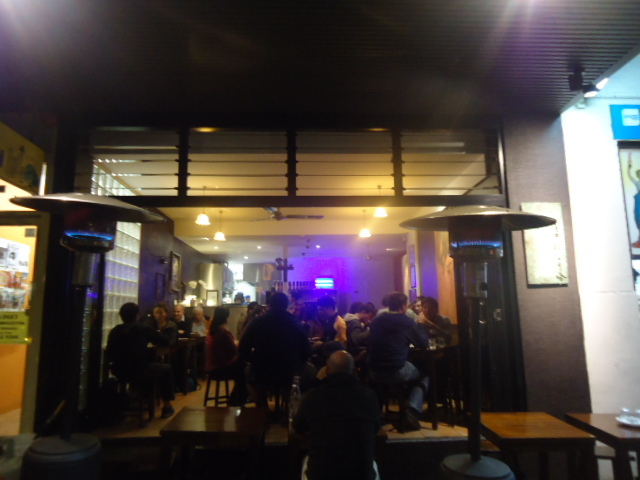 We took the overflow of people as a good sign, as it should be for any restaurant. We were seated very quickly as people were in and out at reasonable paces. The servers were friendly and attentive and wore the CUTEST teeshirts! 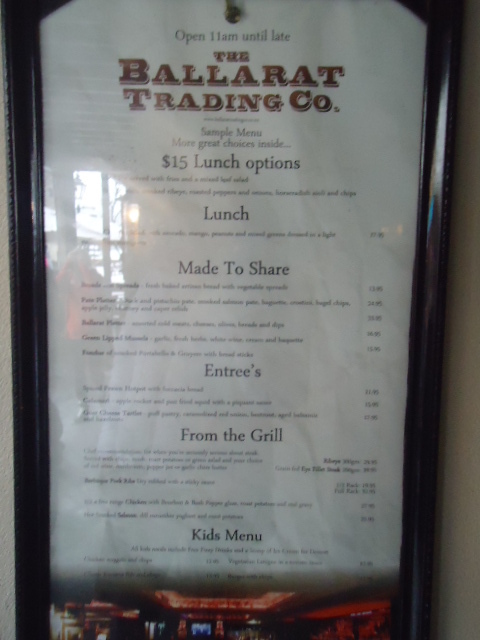 Food & Value – The menu looked great and offered variety, so we had a lot to choose from. 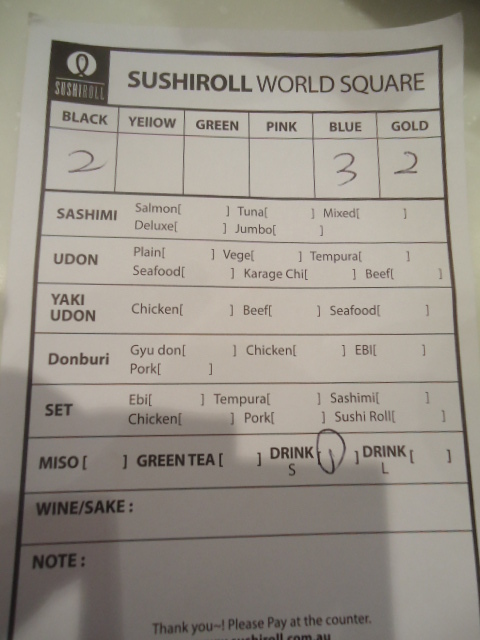 We also saw people drinking wine and asked to order some, only to be told it’s BYOW – cool concept. I ordered: Chicken Panang Curry and Sid ordered pad thai. We were both delighted with our meals and how large the portions were (remember, I was starved). 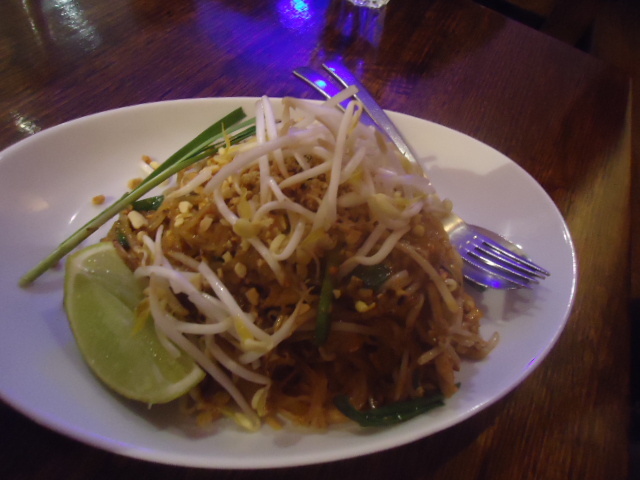 It had the right amount of spice to add that Thai kick that people love. Overall Experience – we wanted to return but didn’t have enough time to do so but it was definitely a nice ending to the long day. I also felt more comfortable because Sydney was turning out to be just as diverse as I was used to in Toronto. So we’d worked up an appetite with all that walking we did, and abandoned the group to have lunch. 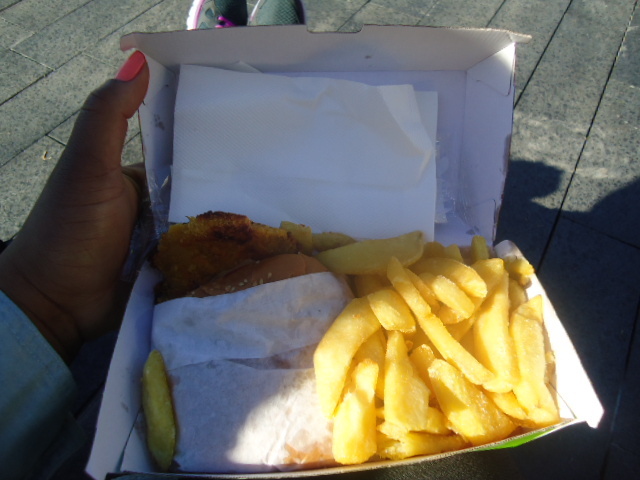 We settled at a place that sold Schnitzels and I ordered a chicken schnitzel. Although it wasn’t fresh, it was still enjoyable. The establishment was clean and organized, and you were served right away despite the line. I almost DIED when I saw this place. 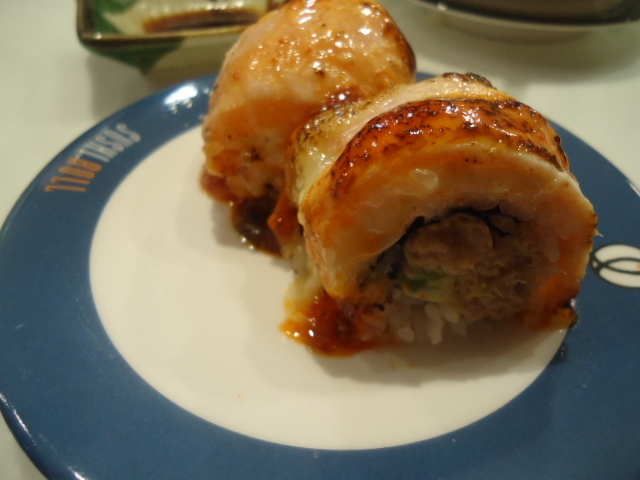 Sushi…. 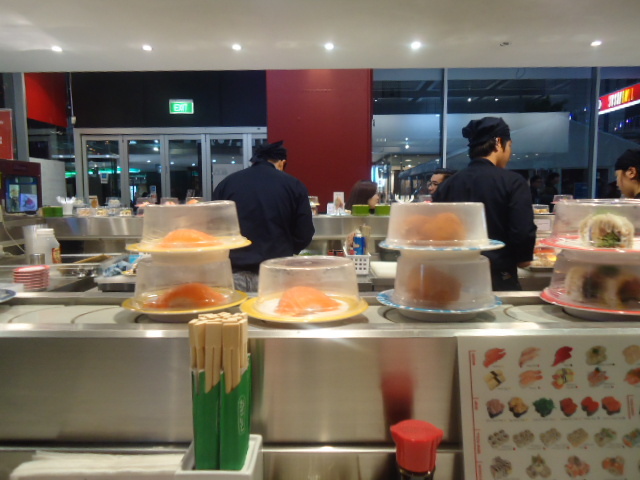 On a conveyor belt…. Non…. Stop?! Oh…. My….. Heavens. Let’s go in – NOW! 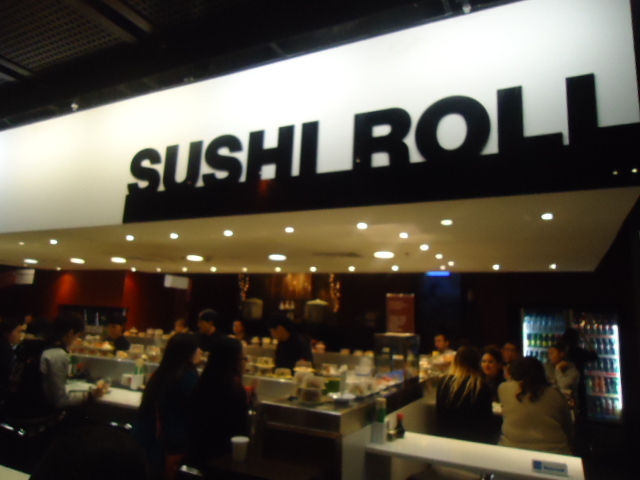 You sat on bar stools at the counter with the chefs in the centre making the creations, non-stop. There were servers who came around to ensure you were okay, but you were essentially on your own until it was time to pay. 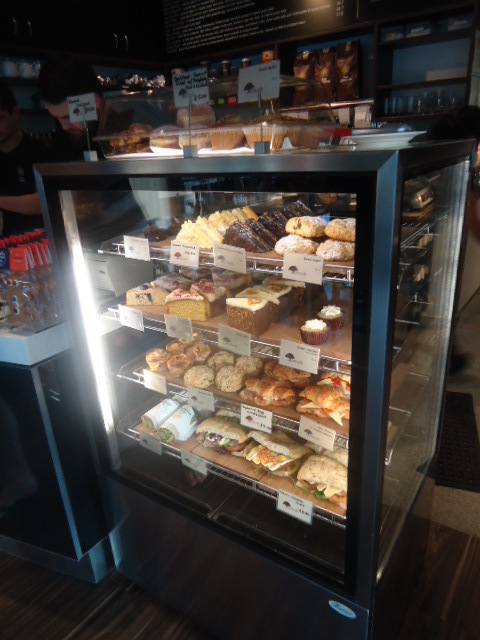 You even retrieved your own drink from a fridge placed in the corner – unless you wanted tea then you’d ask the server. They don’t make you boil your own water, or anything. 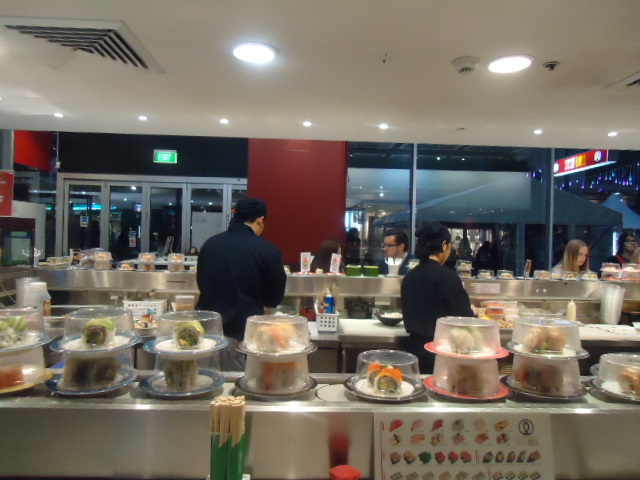 Overall Experience: This was by far my favourite restaurant experience while in Sydney. 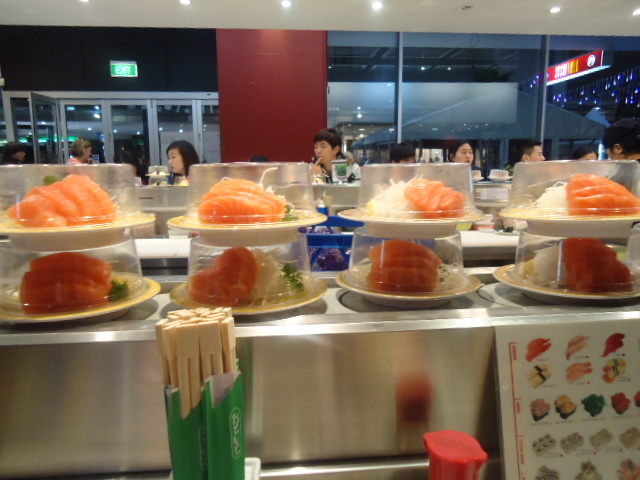 I love sushi to no end, and to take the all you can eat to this level was a dream come true. I wish I could have gone back again and again…. But then that would REALLY add up. 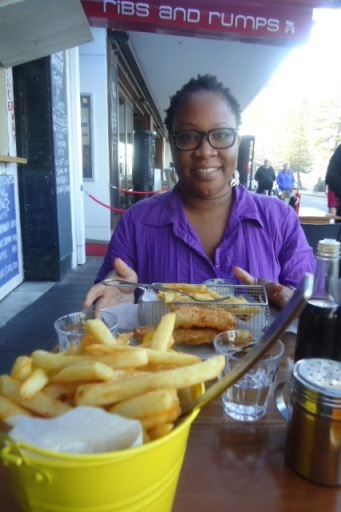 I consumed my fair share of fish n chips and calamari while on my trip – don’t judge me. 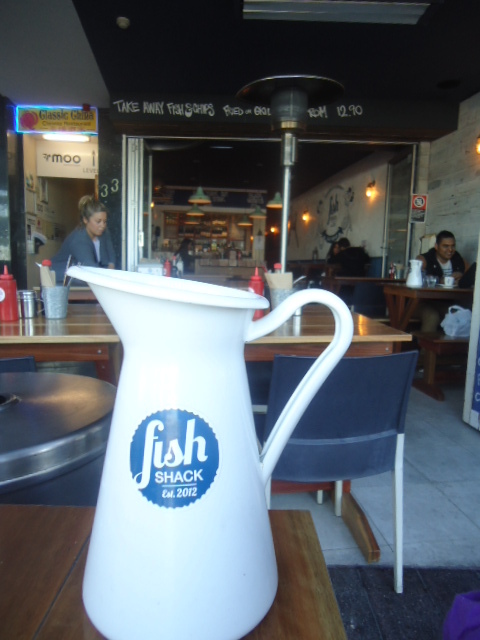 While we were walking around Manly, we had worked up an appetite while on our trekking around the beaches, and stopped in to the Fish Shack. 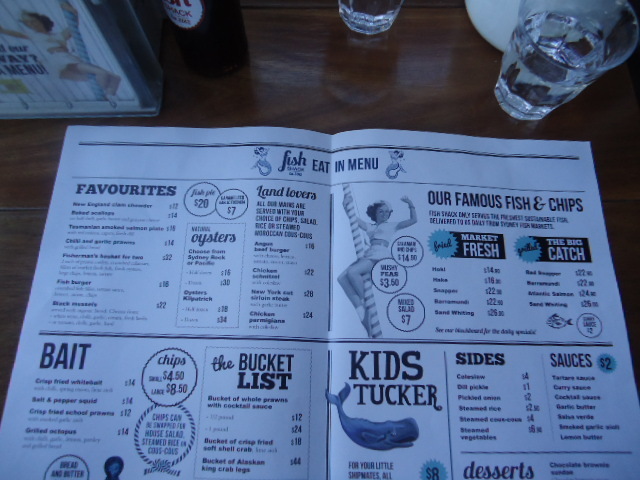 The menus were fashioned after newspaper with articles on the front and the list once you’d opened it. Naturally I found this very cute. It was a smaller restaurant, but that was to be expected as it was actually party of a strip of restaurants along the beach. The server was less than memorable as she didn’t really spend any time trying to care to our needs. I guess she was bored serving fish n chips all day? Who knows. Anyway, we sat out on the sidewalk where we could take in the sights while we waited. There was also a group of older gentlemen who sang every possible song they knew and harmonized beautifully – great free entertainment. 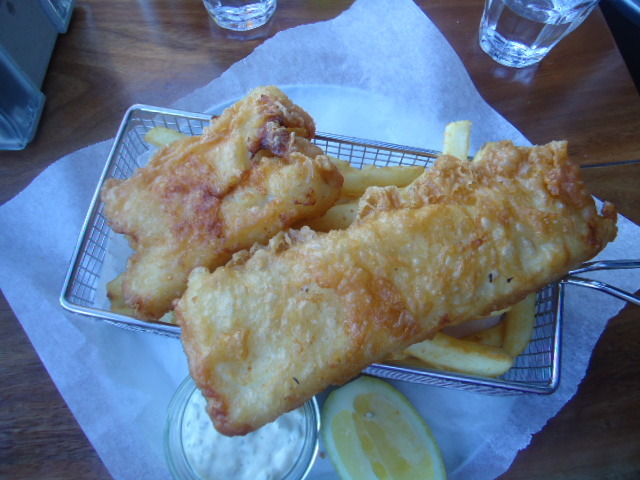 I order the Hoki and chips and it was a decent sized portion of food. It was good but I think I prefer halibut! It costed $14.90. I like the entire experience as it was a nice end to a great day at the beach. There was a lot to see while sitting there that we would have missed while spending time at the beach (Such a tough life). 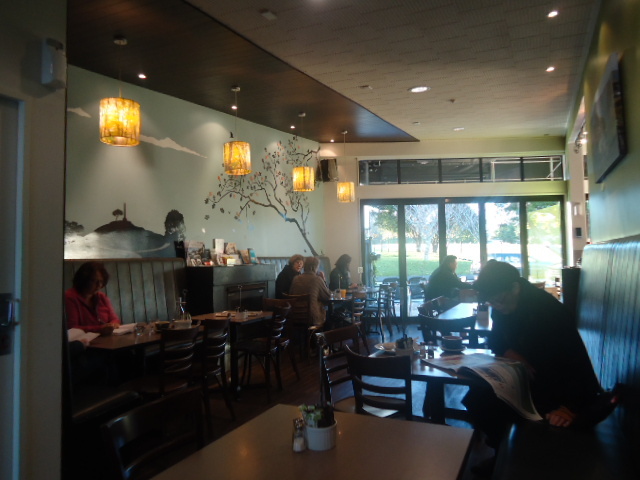 My friend took me to Frolic Cafe for breakfast before starting our tour, and what a cute little place it was! It was small and cozy, and since it was still fairly early, quiet. It did pick up within the next hour, which was a great sign that their food is good. There was a lovely dessert display by the cash, but we didn’t indulge in any. 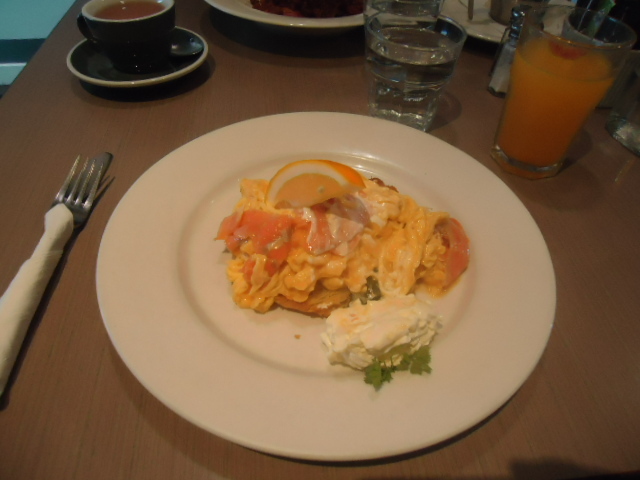 I ordered Smoked Salmon Scramble (south island smoked salmon in creamy scrambled eggs with wilted spinach and sour cream) on a lightly toasted croissant and it. Was. Divine! 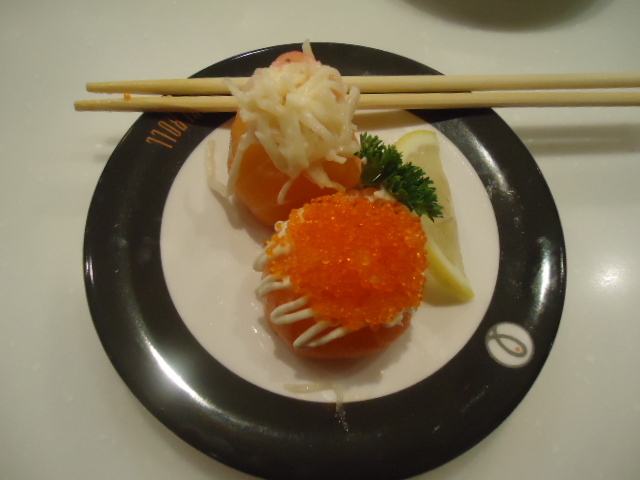 I would have never thought to have salmon with eggs, and why hadn’t I? 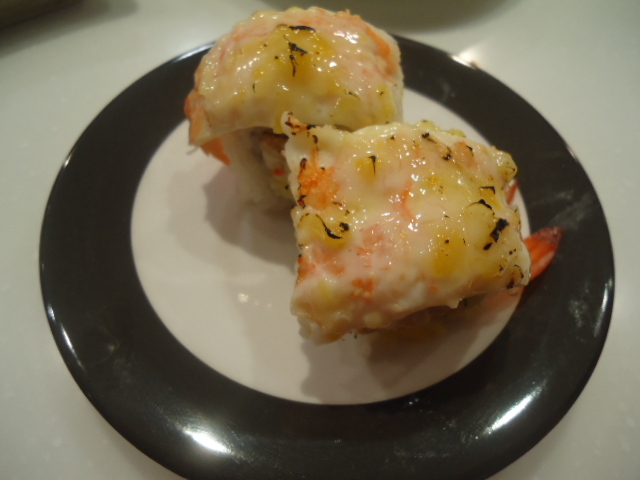 It was so yummy, especially when dipped in the sour cream and biting into the croissant. I can’t even describe it. YUM! 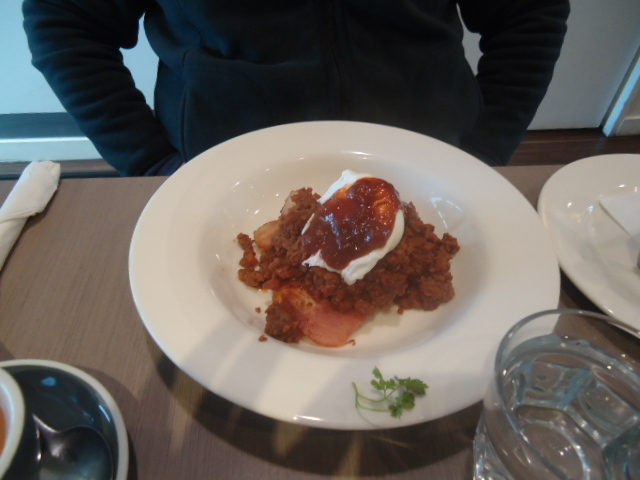 Charis ordered Gourmet Mince on Toast but opted for gluten free bread (100% premium nz beef mince, served with manuka smoked bacon, BBQ sauce and poached egg, on toasted organic ciabatta) and also really enjoyed her meal. 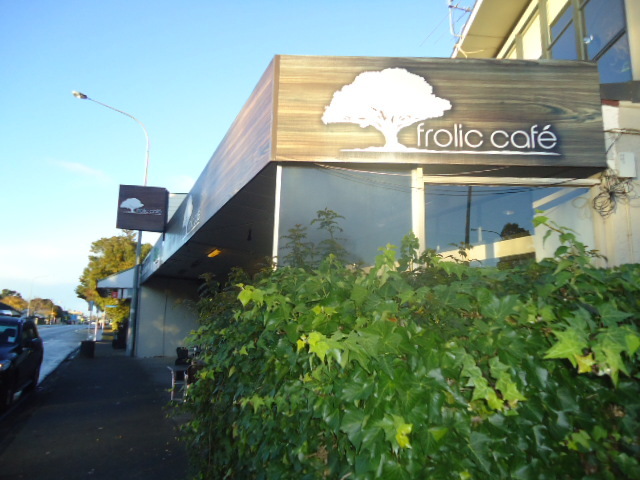 I had a lovely time at Frolic Cafe. 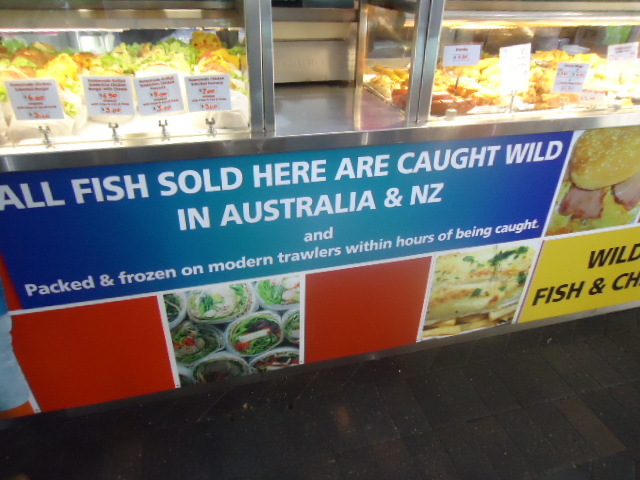 It may also have to do with the fact that it was my first meal since arriving in Auckland. I was taking in the entire experience and this was a great start to my trip. I’d higly recommend this place for breakfast. 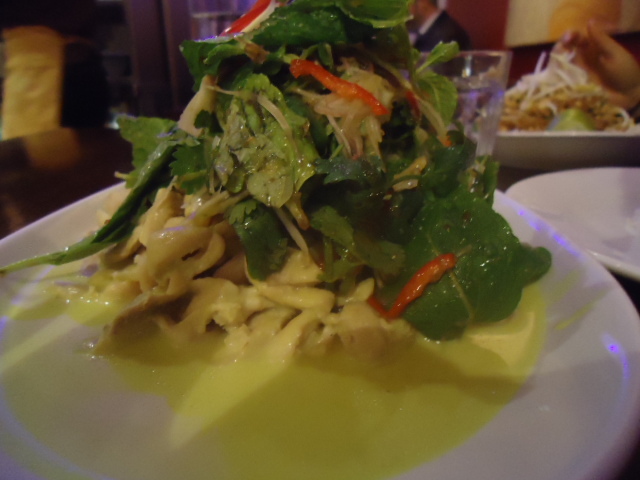 We found this place through bookme.co.nz and thought we’d try it out since they offered a set 3 course menu deal for $40. 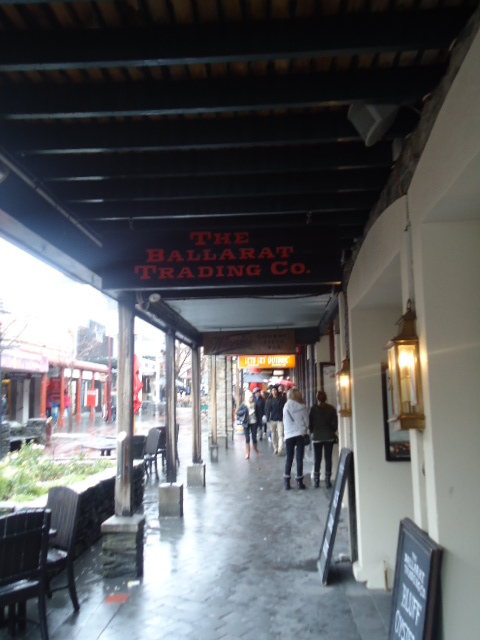 While walking around Queenstown during the day, we found the restaurant so we were able to find it later that evening. 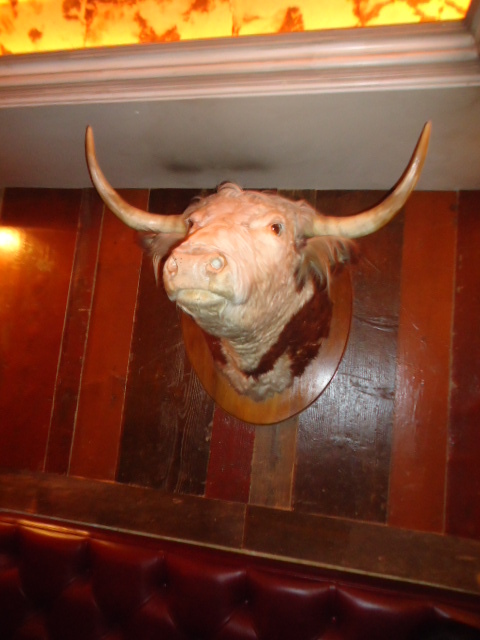 I don’t REALLY know how to describe the decor in this restaurant, after seeing the cow head that was on the wall beside our table! I think they were going for that saloon feeling; it was dimly lit and randomly decorated – though it all came together. 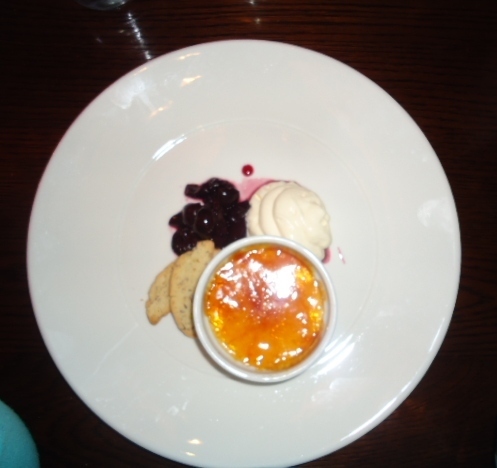 The server was very attentive and pleasant answering any questions we had with no issues. 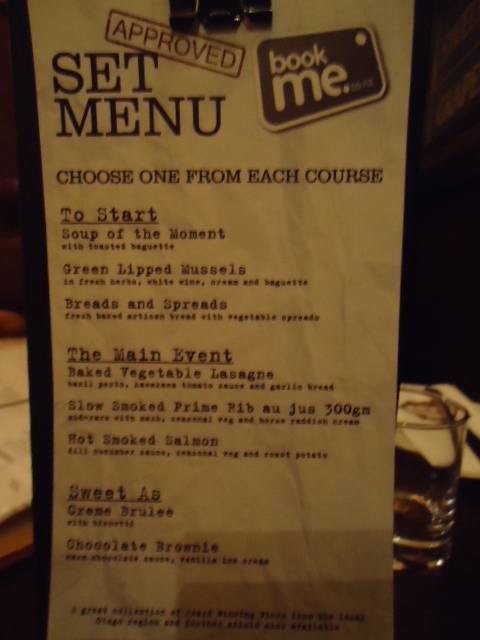 We chose one serving from each course once we’d settled. We had both ordered the soup of the moment, but shortly after the waiter returned to apologize because they only had one serving left. 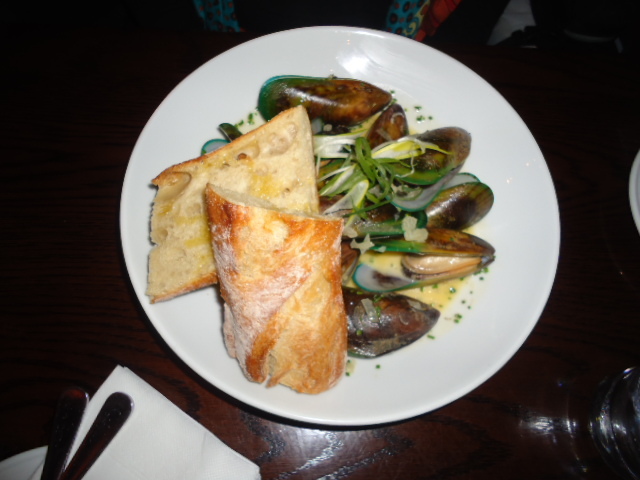 Sid graciously said she’d have the Green Lipped Mussels instead so I could still have the soup. We both really enjoyed our apps. 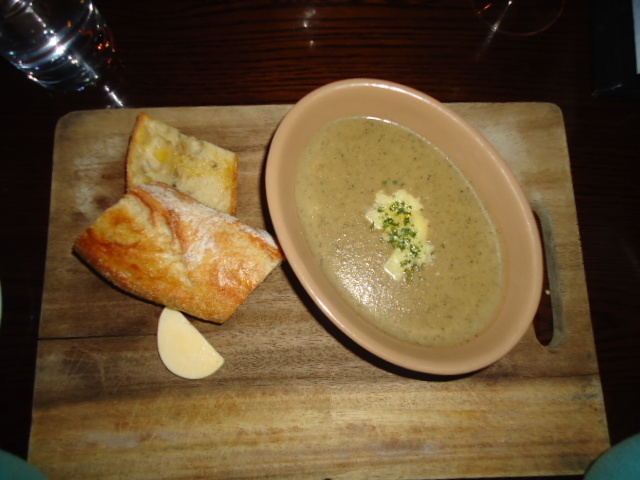 The soup was tasty with the right amount of seasoning. We both ordered the Hot-Smoked Salmon, and wished there was a bigger piece because it was good! It came with a dill cucumber sauce for dipping which actually added a nice fusion to the salmon. The roast potatoes were also good, but again not enough! 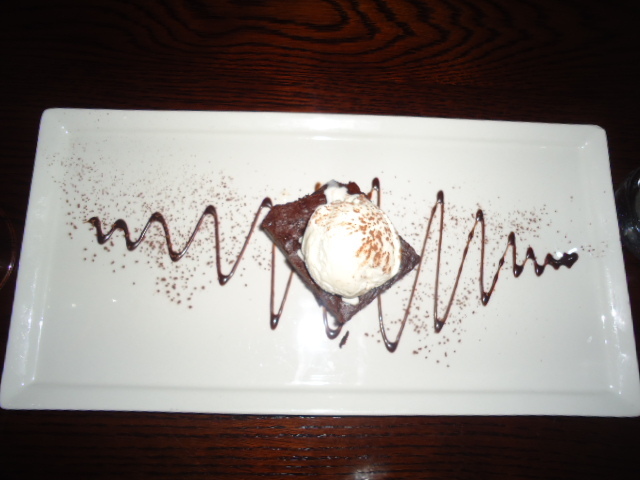 I ordered the creme brulee while Sid had the chocolate brownie – great sweet treats to end off our meals. We had a lovely evening out and even befriended a couple beside us visiting from Sydney. They also appreciated Sidney’s name – I told you it would never get tired! Anyway, the mood in the restaurant was laid back even after it had gotten busy – and this included families with small children. We’re glad we found that set meal deal to enjoy the restaurant. 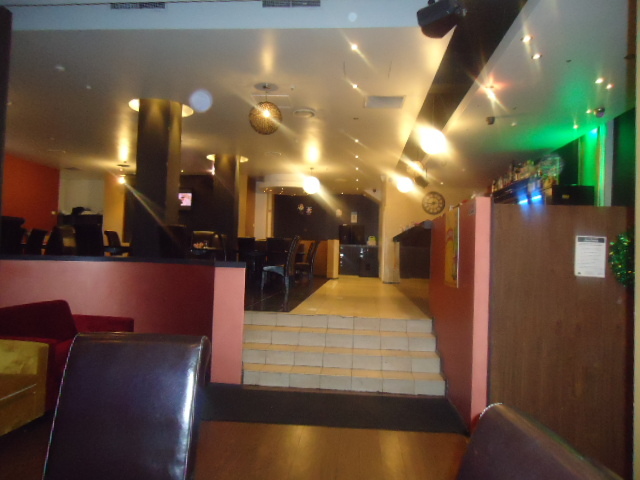 Sid suggested this place as she had frequented it with her friends while she lived in Auckland. 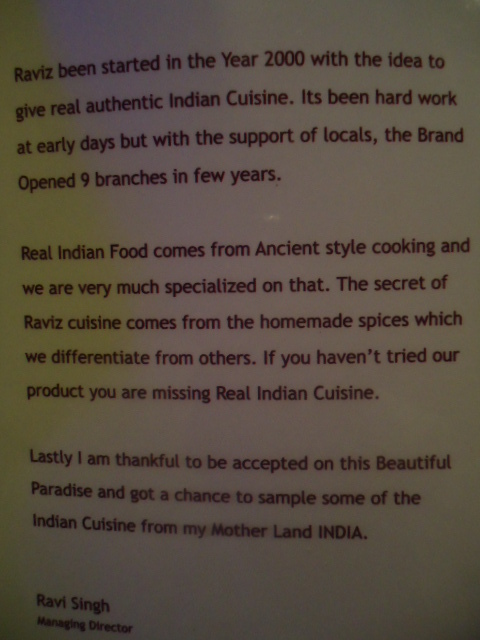 She enjoyed the meals and spoke very highly of it, and since I love Indian food I had no objections. It was spacious, clean and very modern. We arrived early, so we were the only ones in the place and got quality service. 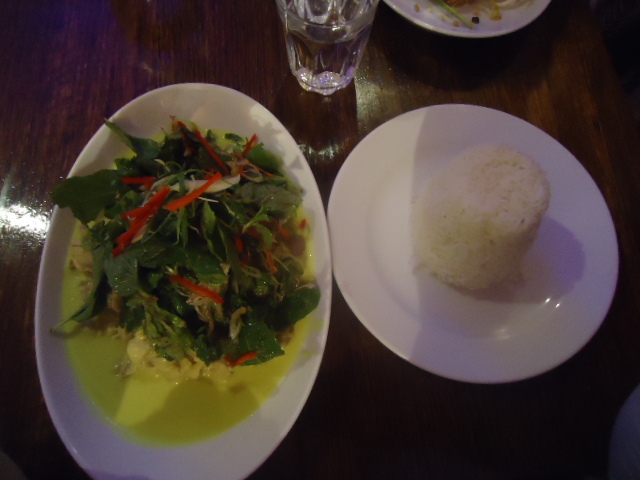 We didn’t have to wait for anything and the food arrived in a timely pace and was hot and fresh. I ordered the Chicken Jalfrezee (tangy flavoured chicken dish cooked with chunks of capsicum, tomatoes & onions and garnished with cheese) with garlic naan and a mango lassi. Delicious. I ate until I couldn’t eat anymore and wanted to keep eating anyway. The mango lassi was thick and tasty, but a bit too sweet for me. Sid ordered Rogan Josh (Chunks of lamb cooked in exotic herbs in the traditional north Indian style) and really enjoyed it. I would have tried it, but I don’t eat lamb so big womp there! Our friend Kate ordered Butter chicken (Barbecued chicken cooked in a smooth tomato based paste) as it was one of her favourite dishes from there. Another great meal to finish off this epic trip. 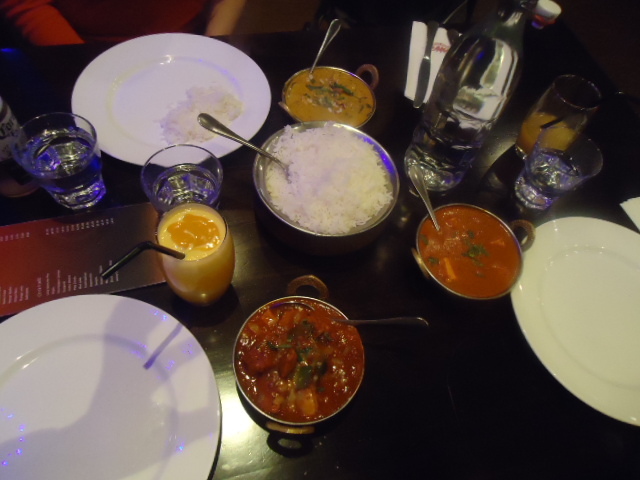 I love Indian food and as usual it was tasty and filling. The service was good and the place was clean. 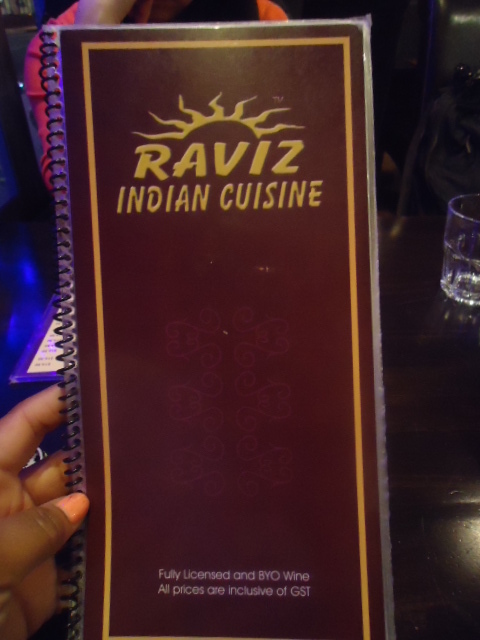 I highly recommend Raviz if you’re craving Indian food in Auckland. And there you have it! Anyone else really hungry now? 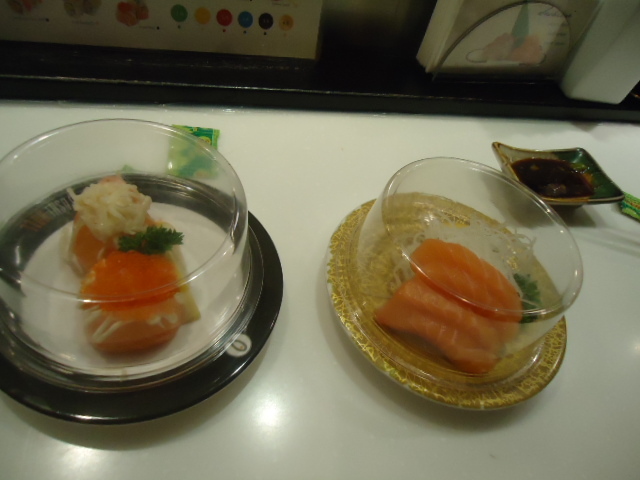 I had a wonderful time on my trip, and as you can see some memorable meals. I hope to return one day! Thank you Australia and New Zealand for a fabulous experience. Thank you for sharing our 100th post with us! Im uber hungry now. Thanks alot. These meals look fantastic. 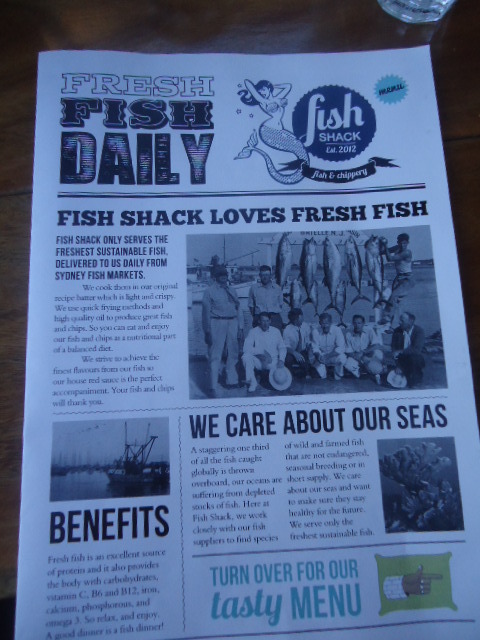 Now I want fish and chips. 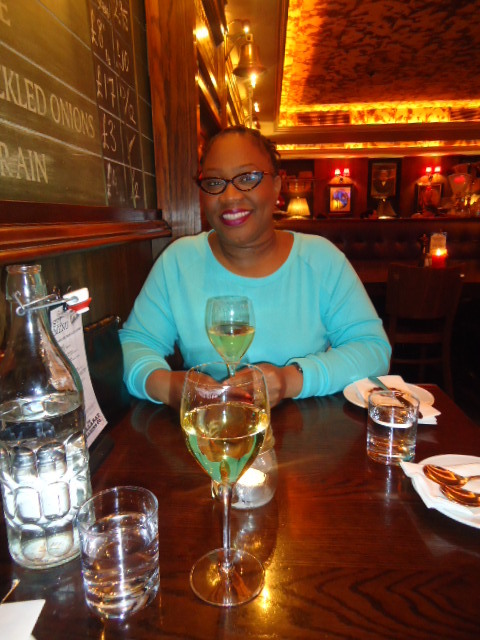 Many restos in Montreal have bring your own wine. I think it is a great concept and really wish that they would bring it to Toronto. Fantastic ( mouthwatering) post! I don’t think I’m asking for much when I say I want to go back. Like. Right now.